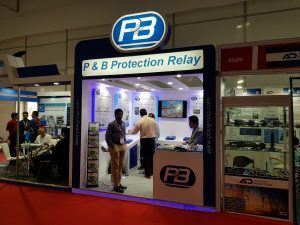 P&B Protection Relays is exhibiting at Elecrama 2018, India’s flagship showcase for electrical industry, equipment and technology, 10-14 March. 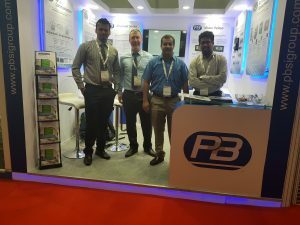 Attending the P&B show stand were Pankaj Indalkar, Manish Joshi, Mayur Kulkarni from P&B’s Indian office in Pune. Phil York, Managing Director of Protection Relays travelled from the UK to join the team and meet visitors to the show. P&B presented its latest developments in Protection Relays including the Vision Relays Range, Drawout Series and its capabilities in Serial Communication and Retrofit replacement relays.